At the Summary step of the wizard, view the information about the changes in database connection settings. 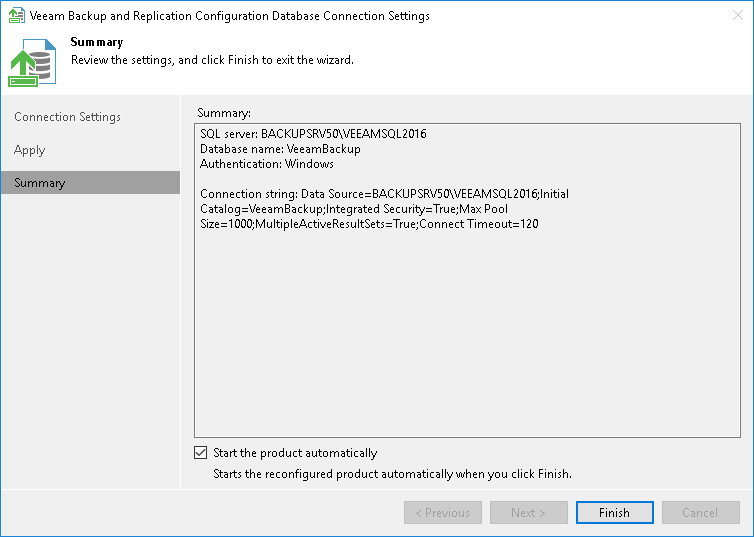 If you were configuring Veeam Backup & Replication database settings and you want the Veeam backup management console to be open automatically after you finish working with the wizard, select the Start the product automatically check box. The Start the product automatically option is not available for Veeam Backup Enterprise Manager.